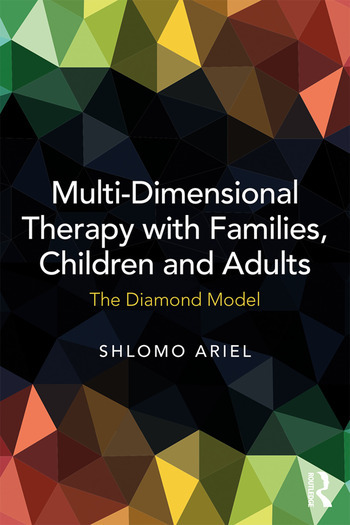 Multi-Dimensional Therapy with Families, Children and Adults: The Diamond Model is a comprehensive introduction to a model of multi-systemic, integrative, culturally competent, child and family-oriented psychotherapy: The Diamond Model. This model integrates a great number of concepts, methods and techniques, found in diverse fields such as the various branches of psychology and psychotherapy, cultural anthropology, biology, linguistics and more, into a single linguistically unified theoretical and methodological framework. Through this model, the author presents clinical cases to help explore various internal and external factors that lead individuals and families to seek out therapy. The book also reserves a special place for examining play therapeutic and culturally competent techniques. With vivid clinical examples throughout, Multi-Dimensional Therapy with Families, Children and Adults serves both as a theory-to-practice guide and as a reference book for therapists working with children and families in training and practice. Dr. Shlomo Ariel is a senior clinical psychologist and family therapist, an international trainer of therapists and Director of the Integrative Psychotherapy Center and the Israel Play Therapy Institute in Ramat Gan, Israel.